"We need this message more than ever" - Malala Yousafzai Melinda Gates's book is a lesson in listening. A powerful, poignant, and ultimately humble call to arms. - Tara Westover, author of Educated The Moment of Lift is an urgent call to courage. - Brené Brown, Ph.D., author of New York Times #1 bestseller Dare to Lead This book is a beautiful and concise mission statement on what we need to do to move society forward- continue to empower women. - Trevor Noah A debut from Melinda Gates, a timely and necessary call to action for women's empowerment. "How can we summon a moment of lift for human beings - and especially for women? Because when you lift up women, you lift up humanity." For the last twenty years, Melinda Gates has been on a mission to find solutions for people with the most urgent needs, wherever they live. Throughout this journey, one thing has become increasingly clear to her: If you want to lift a society up, you need to stop keeping women down. 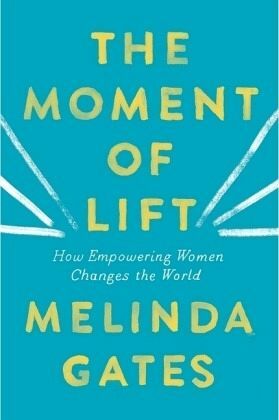 In this moving and compelling book, Melinda shares lessons she's learned from the inspiring people she's met during her work and travels around the world. As she writes in the introduction, "That is why I had to write this book - to share the stories of people who have given focus and urgency to my life. I want all of us to see ways we can lift women up where we live." Melinda's unforgettable narrative is backed by startling data as she presents the issues that most need our attention - from child marriage to lack of access to contraceptives to gender inequity in the workplace. And, for the first time, she writes about her personal life and the road to equality in her own marriage. Throughout, she shows how there has never been more opportunity to change the world - and ourselves. Writing with emotion, candour, and grace, she introduces us to remarkable women and shows the power of connecting with one another. When we lift others up, they lift us up, too. As the co-chair of the Bill & Melinda Gates Foundation, Melinda sets the direction and priorities of the world's largest philanthropy. She is also the founder of Pivotal Ventures, an investment and incubation company working to drive social progress for women and families in the United States. Melinda grew up in Dallas, Texas. She received a bachelor's degree in computer science from Duke University and an M.B.A. from Duke's Fuqua School. Melinda spent the first decade of her career developing multimedia products at Microsoft before leaving the company to focus on her family and philanthropic work. She lives in Seattle, Washington, with her husband, Bill. They have three children, Jenn, Rory, and Phoebe.